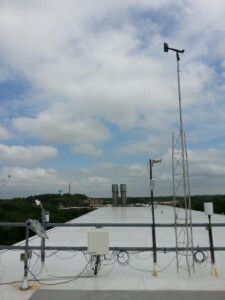 The Geography Department operates weather stations on and off campus to collect a range of meteorological data for use by the BSU research community. 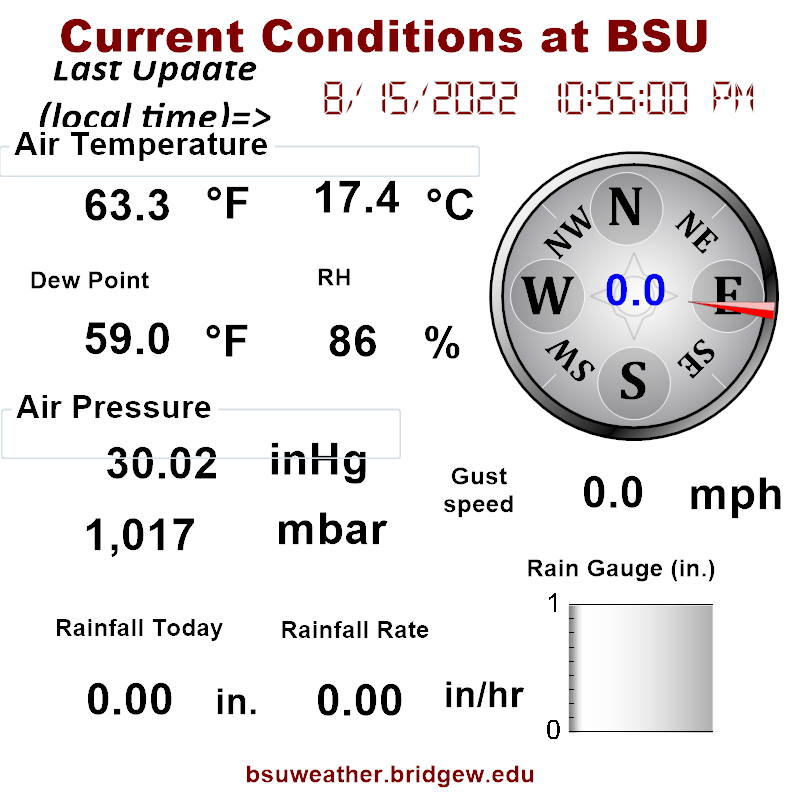 For any data needs in the Bridgewater area following 4/30/2015, we recommend using BSU Research which is our most advanced weather station on the roof of the science building. We have 5 minute data available upon request. This data is for educational and research purposes only and should not be relied on for critical decision making. If you intend to utilize these data as part of a publication, please consult Rob Hellstrom at rhellstrom@bridgew.edu prior to use.